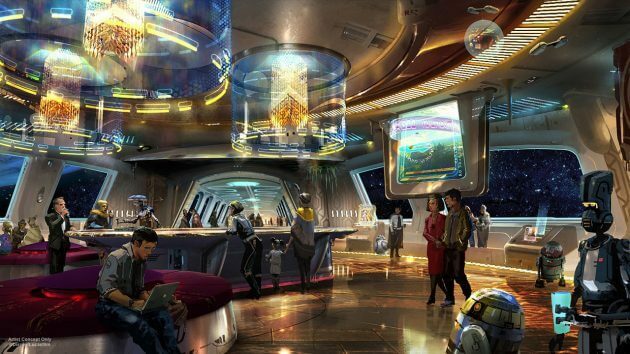 At the D23 Expo 2017, a “Star Wars” hotel has been officially announced. This fully immersive experience is part of what Disney is calling their 360 vacation concept. 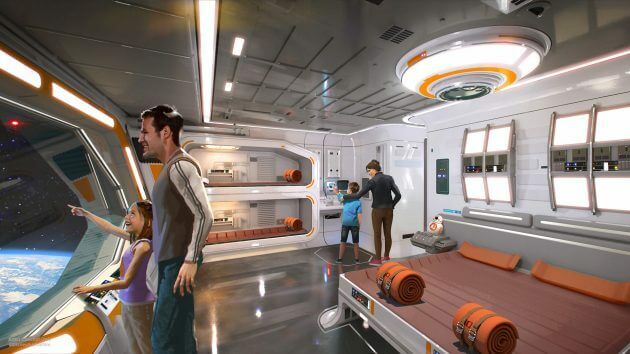 Do you think they will have Empire/First Order inspired rooms too or just rebel themed ones (like the BB8 themed room shown in concept art)? I wonder if in the future they will build the Haunted Mansion themed hotel that was rumored long ago. Would love to spend the night in a spooky haunted mansion! I am going to start saving $50/check now to be able to afford going to the Star Wars hotel in the future. Will take me years to save but will be worth it!